Working as a freelance writer is a great way to earn a little bit of extra money on the side or even a full-time income. If you enjoy writing, you can often find many opportunities online to take your passion and turn it into cold hard cash. The biggest challenge you’ll face when first getting started as a freelance writer is finding legitimate places to work. Because of these challenges, I’ve put together 5 Freelance Writing Jobs for Beginners that may be perfect for you. Can be challenging to get started with if your initial writing score is too low. While top earners are listed on the site, many writer’s report earning between $5 and $15 per hour on the platform. I briefly mentioned a couple of places that you could find freelance writing jobs online in the post, 7 Awesome Online Jobs from Home. One of the sites that I mentioned in that post was Textbroker. Textbroker is the type of site that many Internet business owners and freelance writers refer to as a “content mill.” Basically, this is a place that people visit to order content at inexpensive rates. As a freelance writer, you take over once someone has successfully placed their order. When someone places an order on the site, it appears on a board for you to pick up as a writer. After you accept the job, you’re given a set amount of time to complete the order.  While earnings are far from the best, typically around $0.01-$0.03 per word, sites like Textbroker are great way for you to jump in and earn some money while you learn the ropes of freelance writing. There are a lot of people who now run their own full-time online businesses that started out with Textbroker. Best of all, there are no requirements other than passing a basic writing test to start working on the platform. In less than 30 minutes you can apply for the site and be making money. You are under a probation period when you first get started with Textbroker. Believe it or not, this is a good thing. That’s because while you’re on probation you will have editors working very closely with you to provide feedback on your writing. One friend of mine told me that this is where he first got started writing online and now works full-time as a freelance writer. After you come out of probation, you can earn more money by increasing your rank. This is done by increasing your writing level through favorable reviews by editors and clients. 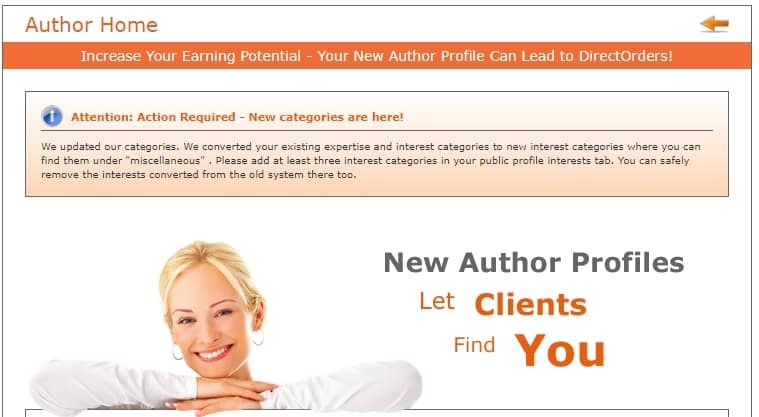 After you increase your rank, you can pick up articles in the queue for 4 and 5 star writers as well as join pre-created groups for specific projects to earn more money. Be warned when you’re first getting started that you may find yourself struggling to earn a full-time income with this site but take the time to learn the ropes so that you can find better paying gigs once you have some experience. The other issue that you may run into with this site is that while you will get paid eventually, it’s very challenging to determine exactly when you will get the money you earn from writing. This is because the site allows clients a very long amount of time to approve orders and often orders will set waiting for clients until they auto approve after a week or longer. Once content is approved, you’re paid for it the following week. Once you’ve learned the ropes, most writers earn between $8 and $14 per hour with top writers bringing in around $1,000 per week. I Need Articles is a site that is very similar to Textbroker. Just like Textbroker, when orders come in they’re placed into a queue for writers to pick up. This site does things a little differently though as it only hires so many writers at a time. When work starts to become overwhelming for the existing writers on staff, the site’s owners allow more people to apply and new writers to get on board. This is great because it is closely managed and ensures that work is found for as many of the writers on staff as possible. Since the site owners don’t staff in abundance, you can almost always find writing gigs on the site when you’re able to work. The pay is very similar to Textbroker and you’ll typically earn between $0.01 and $0.03 per word for content on the site. They pay out weekly and the writers who I know that work there have stated they have almost never been paid late in all the years that they’ve worked with the company. You don’t have a probation period with I Need Articles, but they do carefully review applications when they’re hiring. So, make sure to do your best work possible on the assignment you’re given for application. You must check the site every few weeks to see if the company is hiring new writers. If you’re able to land a spot, you can expect to be paid reliably every Saturday for work completed during the week. One other nice thing about I Need Articles is that they have an area on the site where you can write content about almost any subject and sell it at your own price. The site receives a percentage but many writers on the platform have said they’ve earned a significant amount of money just by selling pre-written content. You do have to complete some basic requirements or at least 250 articles written and be a four-star writer to sell pre-written content on the platform. While some freelance writers do manage to earn a full-time income with this site, many struggle to earn more than $200 or $300 per week. 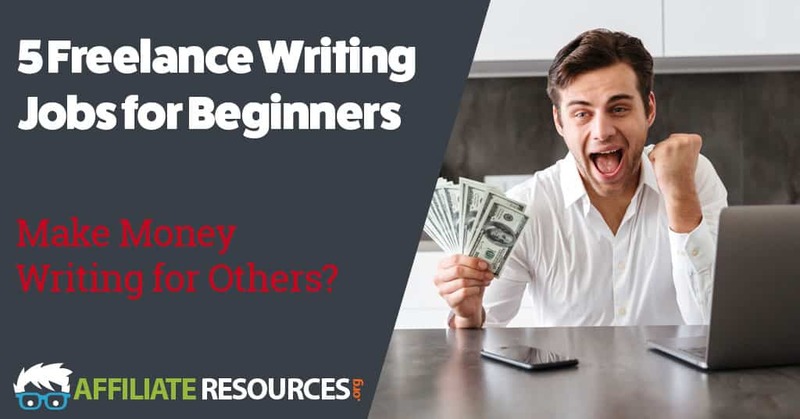 This is another great site that you can use to learn the ropes of freelance writing and earn more money from your own services after you’ve got some experience. To find out if the site is hiring, you must reach out to the site through their contact form. If positions are available, they will have you complete a writing sample for a keyword with instructions they provide you. If they aren’t currently hiring, you can be placed onto a waiting list and notified when they’re hiring again. Freelancer.com is another great platform where you can find freelance writing jobs, but it’s a little bit different than the other two listed above. First, instead of just seeing jobs and being able to pick up an article and write it, you find jobs you may be interested in and bid on them. This is where things can get tricky and fast. Since you’re a new writer, it can often be hard to be picked by people who are looking for your services. When you first get started, you won’t have any reviews under your belt and even worse, you can only bid on a few jobs with a free account. After all your free job bids run out, you either have to wait or fork out a monthly subscription fee between $1 and $60 per month depending on what options you think you’ll need. This site is great to work with if you can afford to sign up for one of their membership options from the start. Just remember that there’s no guarantee that you can get a job after paying for a membership but you will have the ability to apply for more positions. If you want to have the most success possible working as a beginner on the Freelancer.com platform, take the time to fully complete your profile and take a few of the qualification exams they offer for free on the site. By doing this, when you find a position you have past work experience with, you can showcase your related work experience and language skill certifications from Freelancer to help you have a better chance at being selected for jobs you apply for. Another great site that you can use to find freelance writing jobs is fiverr.com. Fiverr is a little different than any of the other sites listed above as you aren’t shown listings that clients need written. Instead, you’re basically running your own freelance writing business inside of the fiverr platform. At first, this may sound intimidating, but it really isn’t. In as little as 15 minutes, you can have your own freelance writing shop set up. All you must do is describe the kind of service you are planning to offer. When you’re first get started on the platform, you’re limited to only offering one service but as time goes on you can offer upsells, different service levels and service bundles. You can create up many services as well. Best of all, you set the prices and say how much your services cost. While all of this sounds incredible, there are a few catch 22’s. First, the marketplace is very competitive and you’re selling a service as a newcomer. It can be challenging to get those first few reviews about the service you’re offering. Because of this, many freelance writers find themselves selling content for less than a penny per word just to get those first reviews in the door. The good news to this is that once you have positive reviews on your account, you can quickly find yourself turning people away because your booked solid for days or weeks at a time. It’s also important to remember that you are essentially running your own freelance writing business on the fiverr platform. This means that you do have to provide some customer service to your clients in the form of rewrites, edits and overall support. The second issue you may have with fiverr is that while the site is free to use, they take 20% of every transaction in fees. It’s important to factor this in to your overall earning requirements. While customers are charged $10 for an article for example, you will only see $8 in your account. The good news is that writers who have built up a good review portfolio can often charge $15-$20 or more per article and stay busy doing so. The final issue that you may have with fiverr goes back to the overall competitiveness of the marketplace. When you’re first getting started, you basically have little to no exposure at all. Often, many new freelance providers on fiverr will promote their own services on various message boards, social media groups and other places both online and off-line to get their first clients in the door. If self-promotion is something that you are uncomfortable with, you may want to choose one of the other options from the list above. If you are comfortable promoting your own writing services and want to make more money than you can with any other method on this list, then the last freelance writing job option on this list may be a good fit for you. If you’re interested in working as a freelance writer so that you can have more freedom and create your own schedule, then starting your own freelance writing website is most likely going to be your best option. Most people get started with freelance writing on one of many sites like those listed above. Over time, many writers begin to leave those sites and create their own online business that offers their freelance writing services. This is because you can earn significantly more money by working with your own private clients that you can by writing content for other businesses that are selling your services themselves. While it can sound intimidating at first, it really is much easier then you may think. Best of all, when you run your own freelance writing website, you can adjust prices to what you want, when you want. This means that as your business grows you can increase your rates for new clients when you start filling up your weekly quotas. Also, when you’re running your own website that offers your writing services, you never have to worry about the possibility of the company you’re writing for going out of business or shutting down your account. Sadly, good freelance writers find themselves facing suspension from various platforms for many different reasons every day. When you run your own online business, you can rest assured knowing that your income is safe so long as you continue providing good customer service. Many freelance writers create their own online business and go on to earn well into the six-figure range per year just by selling their writing services to clients online. If you’re serious about wanting to start your freelance writing journey, you should consider hiring yourself rather than allowing another company to profit from your hard work. So, How Can You Get Started with Your Own Freelance Writing Business? With these 5 Freelance Writing Jobs for Beginners, you can now take the plunge and get started with your own freelance writing business, the very first thing you must do is learn how to create a website that can effectively sell your services and showcase examples of your work. If you’re ready to take the next step and learn how you can create a website where you can show the world what you have to offer, take a moment to check out my top recommended resource. Once inside you can learn exactly how to build and market your new freelance writing website so you can get started on the path to acquiring clients and making money as soon as possible. Hi Jay, great to see a quality post reviewing a few of the most used sites for writing gigs. I hate brokering because they take a cut off the top and with the exception of a few long term positions don’t happen. I generally charge a minimum $25 per hour for articles and tend to land longer termed gigs by using my own websites and contact form to contract writing jobs. I think Wealthy Affiliate is a great choice because they not only supply the best Managed WordPress Hosting they have a massively popular online training program that can make a writer out of just about anyone. Thank you. Thanks Andy for your insight. I was pleased to find this website introducing places where I can make money by writing.As a beginner affiliate marketer I want to supplement income from my own website by writing articles for other websites.I especially liked your description of Textbroker as a good place to start at the beginning.I do not want to pay a subscription fee so Textbroker appears to be the best place to get started.Next I will also try Ineedarticles. I have tried in the past Fiverr but I found that in this international site there is great competition from writers overseas,India especially, that offer to write at very low prices.It was not possible to get any assignments at rates that are reasonable in the USA. Thank you for a very informative and useful article. This is such a very helpful article. I have heard a lot about Freelance Writers, but I didn’t know where to start and I felt intimidated about starting with no experience about it. But your post was of great help for me and I will definitely check some of the platforms you mentioned here. Thanks for this post and a thorough evaluation of each of these opportunities. After reading about how some of the sites are more competitive and the fact that it could take a while to gain notoriety/experience. Even though you have put these out there for beginners I would agree that one should have a passion for writing almost to the extent of “I need to write something” attitude, you know, someone who likes to write every day, being that it could take a while to start earning. I think that attitude would help that person get through the initial learning/experience phase. Would that be a fair assessment? For the rest of us/me, I think having one’s own website is probably a better answer. One still has to write consistently, of course, that’s a given. If given the option, would you recommend one try “Freelance” writing or would they be better off with an affiliate marketing website where they can post their own material and product reviews? I kind of lean towards the latter. Awesome article and an awesome opportunity Jay. This is indeed a wonderful opportunity for a newbie to start their career as a content writer. You have listed wonderful platforms, that I’ve never heard off before. Noted them now. As for me, I’m really looking for a content writer to work for my blog. I have dedicated to write my initial 30 posts by myself and later on, I need a content writer, with your post I get to know a good amount of pros and cons of various platforms available. Thanks a lot for sharing this amazing article. It is good for both sides, job seekers as well as job providers. I have homescreened your article, I always do whenever I come across them because they are always of utmost help to me. I have tried fiverr and freelancerdotcom but the competition is too high for me. I am also a new blogger and I am trusting that I would soon start making substantial revenue from my bogging. In the mean time, I would give Textbroker dot com and I need article a try.